It was a funny weekend for Guardiola as his boys lost to Chelsea football club in what was predicted as less too difficult match to win at Stamford Bridge. The defending champions has been in a scintillating form since the beginning of the season with just 2 draws in 15 matches before this game. Even many pundits started asking the big question if Manchester city will go unbeaten this season: a feat only Arsenal Fc has done during the 2004 premier league season. It was becoming clear by the day that teams concedes defeat psychologically before their game against City; who has been blowing their opponents with not less than average of 3 goals in a match. Chelsea on their part are still adapting to the wide spreading pattern of play of Mariuzo Sarri popularly called Sarriball among the Chelsea faithfuls and other football lovers. The team has experience a quick transition in the pattern which has won many applaud from the Chelsea fan base in particular and football in general. Going in the game against high flaying Manchester City after having a poor run in November features; winning only 2 of their last five games and losing two to Tottenham and Wolves, Chelsea had little chance of rescuing a point from this match. The best result was to play for draw by contending the Pep boys. 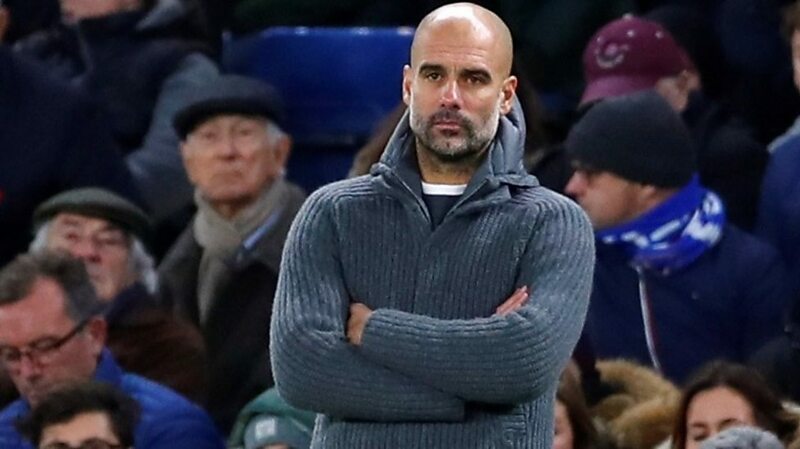 Both coaches are not new to each other in the football world, in fact Pep Guardiola has never suffered a defeat from Sarri in his entire carrier. this was a big worry and test to Chelsea head to eradicate this history but of cause in his pre-match interview said Pep was the best in the World and City in Europe. There is much mutual respect existing between them and both have one thing in common; good football. The game started pretty well with Manchester City showing why they are regarded as the most feared team in the league. City dominated proceedings throughout the first with Chelsea looking more like they are training section. Every ball lost by City was won back immediately. Sterling had the best chances in the first half to put his team on the driver’s seat but didn’t utilise his chances well. The only Chelsea attempt on goal resulted to a super shot by Kante who smash the ball in the roof of the post unmarked inside the eighteen yard box. Chelsea play maker Eden Hazard has received a pass from Williams inside the box and found himself surrounded by four Manchester city players but he managed to get the passed them with a pass to mouth of the goal post. The surging kante met the ball on this and did justice to it. The goal was least expected and well celebrated. The first half ended with Manchester City searching for an equalizer. The second half started with a big surprise when Sarri boy decided to take the game to Manchester City half with a lot of missed opportunities in the first 10 minutes of the second half. Williams and Pedro had failed to convert their chances during the period. Pep decided to bring a top striker when Gabriel Jesus for Sane but the change didn’t make much impact in the game as Chelsea kept dominating the game. The hope of City was buried beyond excavation when defender David Luiz on the 78th minute beats the keeper with a wonderful nodding from Hazard's corner kick. The stadium roared and this road became a nightmare to Guardiola and his boy. This will remain a night they will not forget in a hurry.all other efforts made afterwards was in futility. This game left Manchester City on the second position on the log after Liverpool had humble Bournemouth with 4 goals in a thrilling encounter where Salah got a hat trick. The means Pep will a lot in his head on what really went wrong with his team. Guardiola has proven himself many times and I believe he will review his team performance and continue on winning ways.